Snow shoveling can be a dangerous, strenuous activity. Make sure to have a proper shovel, be aware of ice and not to over extend yourself. 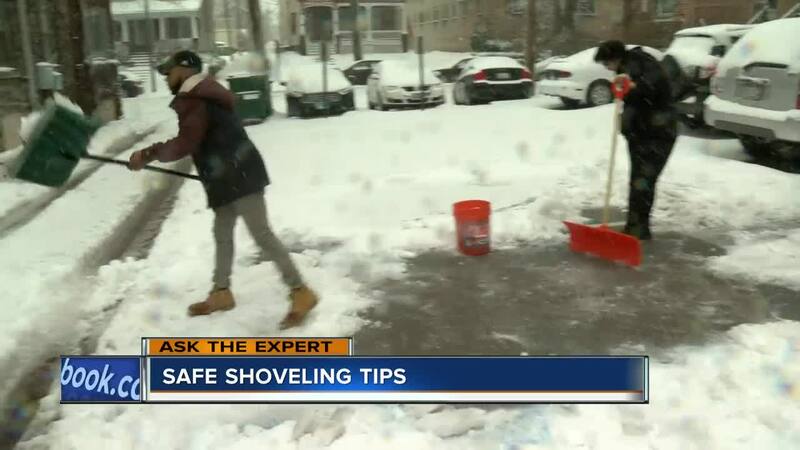 MILWAUKEE -- Snow shoveling can be a dangerous, strenuous activity. Make sure to have a proper shovel, be aware of ice and not to over extend yourself. Dr. Sam Steiner joined TODAY'S TMJ4 to discuss all of these tips and more.